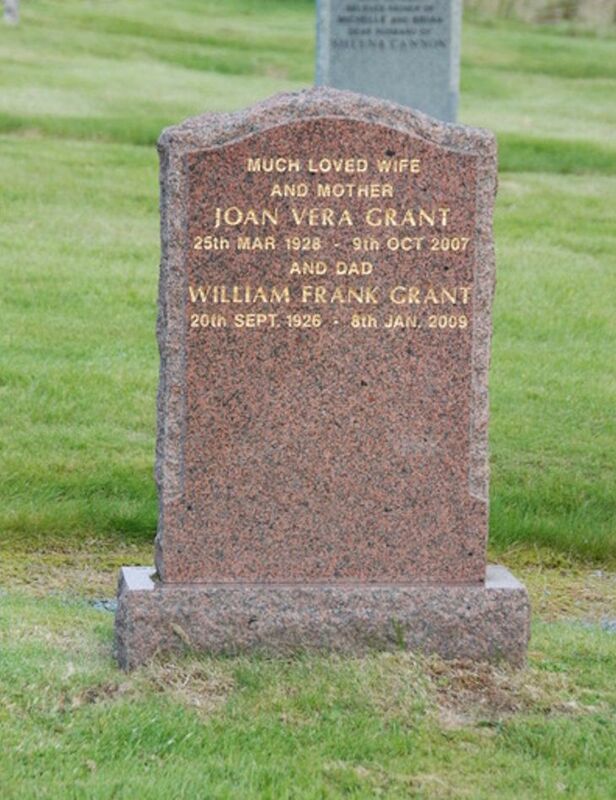 Skye Gravestones | Joan & William Grant. Much loved wife/and mother/JOAN VERA GRANT/25th Mar 1928 - 9th Oct. 2007/and dad/WILLIAM FRANK GRANT/20th Sept 1926 - 8th Jan. 2009. Picture Added on 13 September 2018.